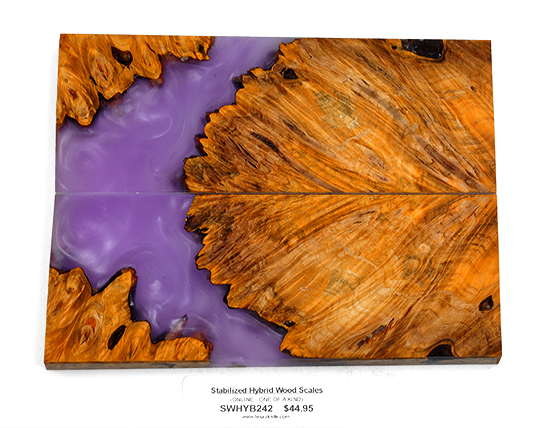 These scales are a composite of dyed Box Elder burl wood and high grade acrylic resins. They have been stabilized and sealed. Scale dimensions are: 5-3/4" x 2-1/8" x 3/8"